The School of Public Health and Health Sciences (SPHHS) is pleased to announce that Communication Disorders alumnus Dr. Howard Shane '69 MA '72 will receive the 2017 Award for Significant Contributions to the fields of public health and health sciences. 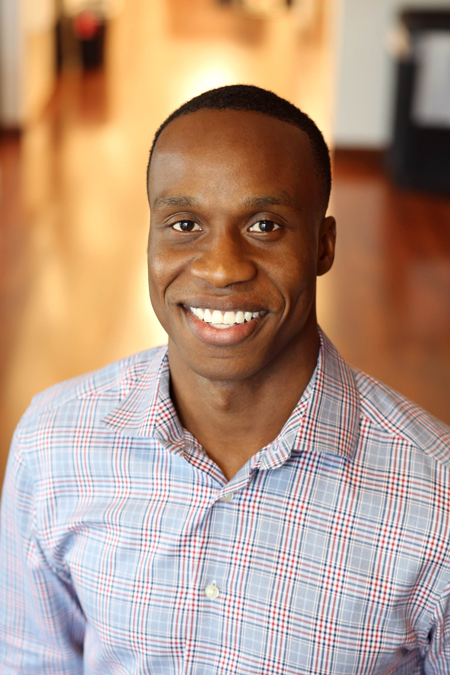 Kinesiology alumnus Efosa Guobadia ’07 will be recognized as the inaugural recipient of the School's Distinguished Young Alumni Award. Both Shane and Guobadia will be recognized during the School's 8th annual Fall Celebration event being held on September 23rd from 10:00 am to 12:00 noon in the Fine Arts Center. The School's signature alumni event brings together alumni, faculty, staff and students in recognition of its alumni’s achievements. The event will feature remarks from Dean Marjorie Aelion and a series of student speakers who will provide highlights of their experiences in SPHHS. The School invites you to register for the event here. Dr. Howard Shane ’69 MA ‘72 holds the Center for Communication Enhancement Chair in the Department of Otolaryngology and Communication Enhancement at Boston Children’s Hospital where he has been a practicing clinician for 40 years. He is an Associate Professor in the Department of Laryngology at Harvard Medical School and a Professor of Communication Sciences and Disorders at Massachusetts General Hospital Institute for Health Professions. Dr. Shane’s clinical approaches contributed significantly to the burgeoning field known as augmentative and alternative communication (AAC). He is world-renowned for his technology developments and has produced over 12 computer applications and holds two U.S. patents. Dr. Shane and his team became the first to attach a desktop computer, separate power source, speech synthesizer and custom keyboard to a wheelchair, and later, they created the first computer software program designed as a communication program for non-speaking people. In the mid-1980s, Dr. Shane created the first computer language models to enable people with quadriplegia due to a spinal cord injury to use voice recognition to write, access a computer, and become more independent. In the early 1990s, Dr. Shane led a development team that designed a portable speech synthesizer that became the standard male, female and children’s voice used by people with no voice, including Professor Stephen Hawking. During the 1990s, Dr. Shane helped to create Assistive Technology Inc., a company that commercializes ideas and prototype communication products. It has grown into the world’s largest company to offer communication solutions for people who are unable to speak. After initially concentrating on people with cerebral palsy and related neuro-motor diseases, Dr. Shane is working on ways to improve the processing and understanding of visual information by children with an autism spectrum disorder. He and his team are now working on a range of mobile technology applications, including iPad-based solutions and wearable technology such as the Apple Watch as a means to further promote independence. Dr. Shane is a Fellow of the American Speech and Hearing Association (ASHA) and is a recipient of their Honors of the Association award. In addition, Dr. Shane has received the Goldenson Award for Innovations in Technology from the United Cerebral Palsy Association, and the Pioneer Award from the Council on Exceptional Children. He is the author of numerous research papers and books on severe speech impairment and has lectured throughout the world on the topic. Dr. Shane received his BA in sociology from the University of Massachusetts Amherst in 1969, and his MA in speech-language pathology from the UMass Amherst Department of Communication Disorders in 1972. Dr. Shane received his PhD from Syracuse University and completed a Doctoral Fellowship at Mayo Clinic in 1975. Efosa L. Guobadia, PT, DPT, is the Co-Founder, President, and CEO of Move Together, a non-profit organization dedicated to improving access to quality rehab medicine around the corner and around the world. He is also the co-founder and co-director of the international initiative Physical Therapy (PT) Day of Service, and formerly developed and led the international volunteer program ATI MissionWorks for ATI Physical Therapy. In May, Move Together brought a group of 26 volunteers to Guatemala to work with the second most populous city in the country: the municipality of Villa Nueva. They worked hand in hand with municipality leaders, construction team, patients, physical therapists and students, and health care leaders to build/develop a three building rehab clinic in one day (watch the video here). They then treated patients and operationalized the clinic in collaboration with the healthcare team over the course of one week. They will be returning in January to continue efforts to maximize clinic capacity, efficiency, and effectiveness on the quality and quantity fronts. Throughout the year, the clinic is led and operated by a local physical therapists that is staffed by the municipality. In 2017, Move Together also launched the Pro Bono Incubator program which provides funding to non-profit and university Physical Therapy programs to support their efforts in developing or innovating pro bono rehab clinics. Over the last two years, the PT Day of Services initiative has recruited over 7,000 participants from over 40 countries (read more here). Students, staff, clinicians associated with the profession have participated in diverse and dynamic activities in their local communities. This upcoming and 3rd annual year, to be held on October 14th, has a theme of TRANSCEND. Guobadia is also the founder of the informational website PT Haven, and in 2017, he contributed a chapter on sustainability as well as the closing afterword for the book Why Global Health Matters, edited by Dr. Chris E. Stout, and with a foreword by Nobel Laureate Jody Williams. 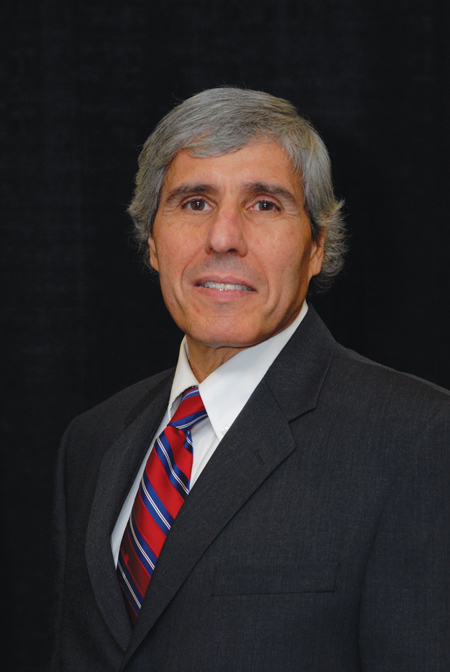 Guobadia received his BS in Kinesiology from the University of Massachusetts Amherst in 2007 and his Doctorate of Physical Therapy from the University of Scranton in 2010.